Not only are baby blankets available in a wide range of colors and materials, but there are different kinds of a baby blanket. Receiving blankets are often given as a new baby gift, but they have a whole range of uses. They are lightweight, usually around one square yard, and can be used to swaddle the baby, catch spit up, put on the floor for the baby to lie on, and almost anything else you can think of. Security blankets are soft and could look a little like a teddy bear. 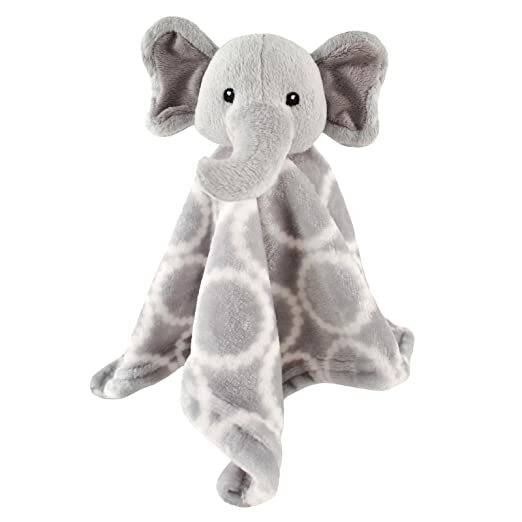 They’re designed to give comfort and make a really nice keepsake as your child grows. These are a bit like a pouch for your baby. There are many variations of them available, but all of them are designed to easily swaddle the baby, so you’re not fighting with loose blankets. These loose blankets can be found in a myriad of materials, colors, and patterns. Although, if you decide to use them you will need to take extra care. Baby blankets are made from so many different materials, each material has its own pros and cons. Cotton: Some blankets are made from 100% cotton. It’s durable, and the blankets tend to be lightweight. Wool: Wool blankets come in a range of colors, patterns, and knits, but some babies, and indeed adults don’t like the feeling of wool. Fleece: Fleece blankets are very soft, but they’re also very warm. These are better suited for colder weather. Faux fur: Faux fur is made from 100% cotton and is not shed. However, it can be awkward to wash, so isn’t always suitable as an everyday blanket. Flannel: Flannel is soft, cozy, and warm. It would be a better blanket for winter because of its heat retaining properties. Chenille: Chenille blankets may be one of the most popular materials, because of how soft it is. Although it can also trap heat, so you should take care to avoid overheating your baby. Cashmere: If you have a large disposable income, then you could get some cashmere baby blankets. They’re expensive in comparison to other materials, but they are soft, durable and lightweight. Many people prefer not to use loose blankets because you do need to take extra care with them. If you want to use loose blankets then place your baby in the crib on his or her back, with the feet at the bottom of the crib. The blanket shouldn’t be any higher than the baby’s chest, and the ends of the blanket should be tucked under the mattress so that it doesn’t become loose and entangle the baby. If you don’t want to use a blanket, then a sleep sack is a great alternative. You can find them in a vast range of colors, and they have a tog rating to help you choose the right amount of heat. You choose the tog just like you would for your own duvet. They are like sleeping bags and are secured on the baby. They don’t come off if your baby is a restless sleeper, and they don’t move up to tangle your baby up. 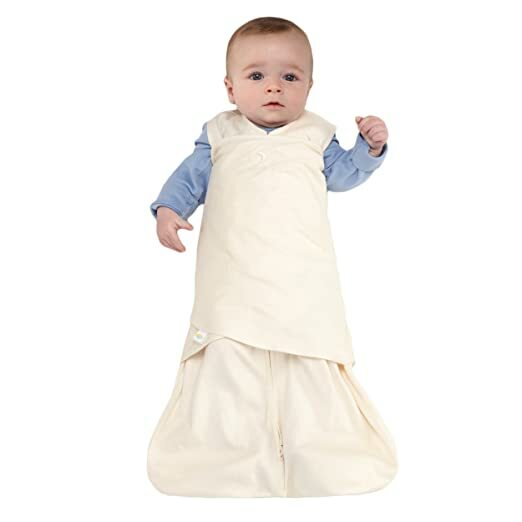 The baby sleep sack is like a sleeping bag, with a wide bottom, but the toddler version has open feet so your baby can stand up in the crib without falling, or having their feet tangled. The Halo Sleep Swaddle sack has a 4.3 rating. It’s made from 100% cotton has come in two sizes, and 21 color choices. It’s a swaddle and a sleeping bag combined. It gives three swaddle options and has an inverted zipper, so it doesn’t need to come off for the middle of the night diaper changes. Swaddling can mean that your make won’t be able to right themselves if they roll over, but the swaddling options does allow you to leave your baby’s arms free. The inverted zipper does mean that diaper changes are easier and less disruptive to your baby’s sleep. It is more pricey than other sleeping bags and blankets, but it’s made from really high quality materials. It needs to be washed on a wool cycle which is a little inconvenient, but overall it is worth its price tag. The Luvable Friends Flannel Receiving blankets have a 4.0 rating. They are a pack of four multi-purpose flannel blankets and are available in 17 color and pattern choices. They are reasonably priced and can be washed in the regular laundry cycle. These blankets are good as a set of four, but the size means that they might not be suitable for your baby as a blanket. They are multi purpose, and are very affordable. 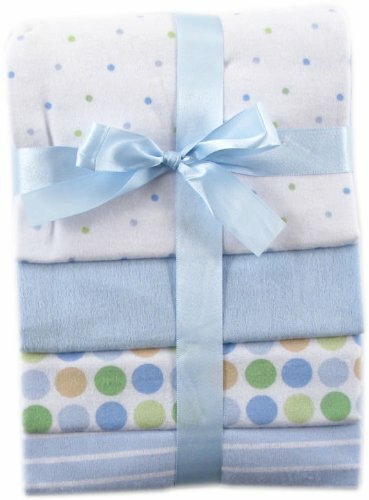 The Hudson Baby printed blanket has a 4.8 rating. It’s made from soft materials on both sides. It’s lightweight but is probably better for colder weather. It’s 30” x 40”, and comes in blue or pink giraffes. The Hudson Baby security blanket is rated 4.8. It’s a very soft blanket with a 3D animal design. It’s available in gray elephant, pink owl or blue fox. It’s very cute and very affordable. Some people would prefer a rattle in it as well. Overall this is a great security blanket. It’s very affordable, well made and really adorable. The only thing that would make it better would be more color options. Each of the products is fantastic in their own way, and the Hudson Baby security blanket is a very close runner-up. It’s durable, high quality and really cute. The Woolino Sleeping Bag has to be the overall winner. It’s more expensive but it is very high quality. It has a Woolmark certified Australian Merino wool lining, and GOTS certified 100% organic cotton outer layer. It helps prevent overheating in warm weather and climates, but it retains heat in colder weather and climates. It is worth the higher price tag.